I am working on my project in QGIS 2.18 through Graphical modeller and using some basic algorithms for polyline objects. However, I do not understand why specification for Dissolve algorithm cannot be saved as a parameter in its window. Any ideas? When I execute this model through Processing Toolbox it dramatically impacts my desired output. Looks like it simply does not remember my settings. Example. 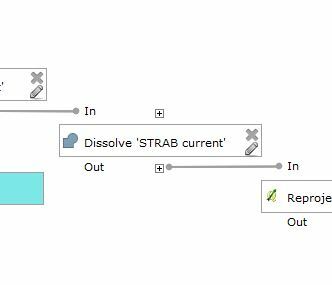 I use "SLINIE" field as a Dissolving parameter. But after I click "OK" and open the window again I can not see that option. Can you tell me please what I am missing? With OGR Execute SQL I can execute the proper query but I do not know how to save properly the output as a shapefile. Not the answer you're looking for? 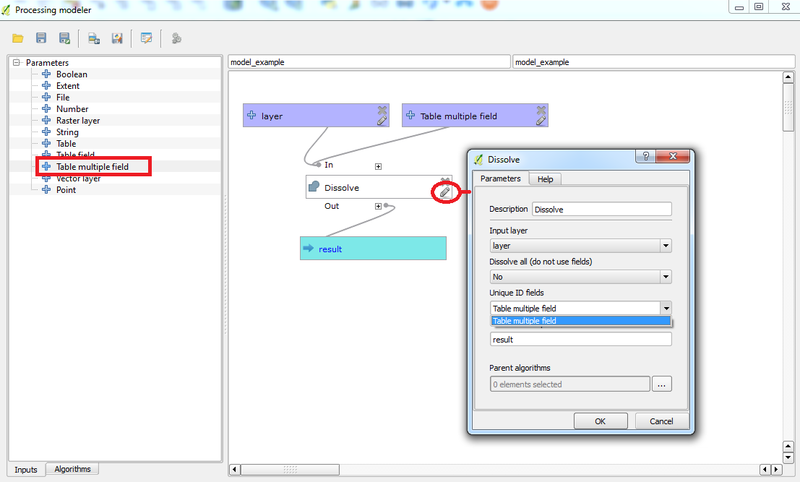 Browse other questions tagged qgis qgis-2 dissolve qgis-modeler or ask your own question. 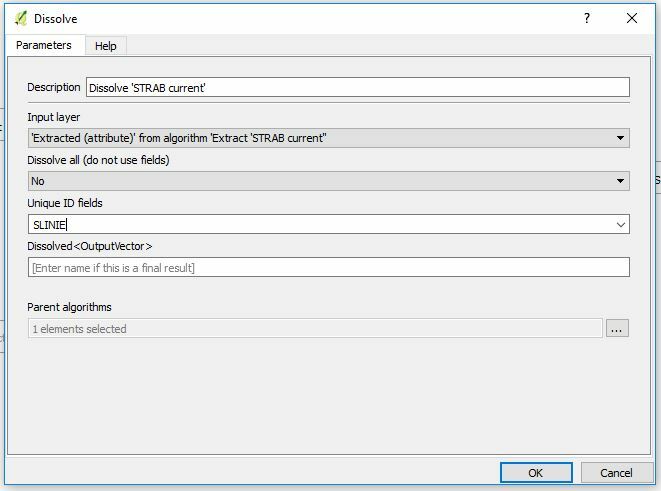 Using aggregate function in QGIS graphical modeler? 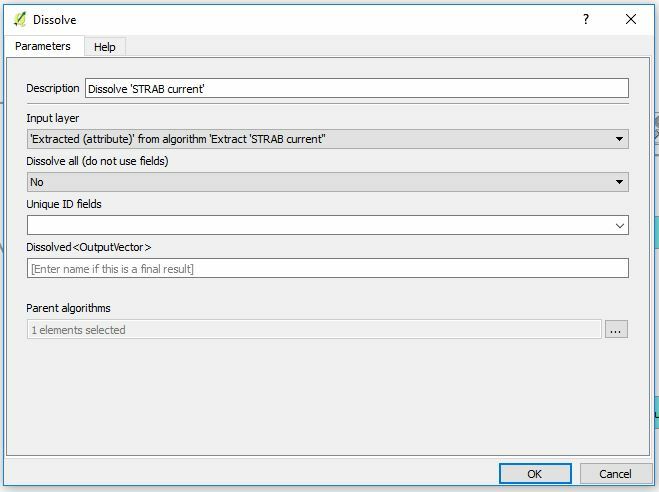 Recovering output value in QGIS graphical modeler?